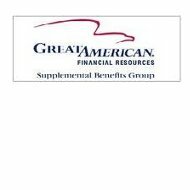 Central Reserve Life Insurance Company is a subsidiary of Great American Supplements Benefits Group out of Austin, Texas. The company has been in existence since 1964. Central Reserve provides long-term care coverage. Long-term care provides for care within your home, nursing home, assisted living facility, and adult day care facility. Long-term care also allows for hospice care, respite care, therapeutic devices, meal services, transportation, cash payments, and bad reservations. There may also be allowances for training and paying a family member to care for the policyholder. There are two types of long-term care coverage under Central Reserve. The first is tax-qualified which means the policy must meet certain federal standards. The benefits paid to the policyholder are usually tax-free and you can often deduct your premium on your taxes. The second type of policy is non-tax-qualified, and it does not provide these tax benefits. Certain benefits on the long-term care policy are included in the standard policy and other benefits must be added as a rider. In addition, the policies differ depending on the state requirements and allowances. Contact your insurance agent or the website for specific details. Supplemental insurance, which is available through Central Reserve, is quite beneficial as it provides coverage in addition to your primary insurance policy. Supplemental Insurance policies include plans for cancer, heart disease, accident, disability income, hospitalization, and Medicare supplements. Certain aspects of the supplemental insurance policy are standard whereas additional coverage can be added as a rider to your policy. Plans may cover expenses for deductibles, co-payments, travel, lodging, home recovery, counseling, experimental treatments, and outpatient services. Medicare supplemental insurance provides supplements for Medicare Parts A & B. The coverage includes additional hospitalization coverage for Medicare Part A and additional medical expenses, which usually fall under Medicare Part B. In addition, the first three pints of blood received are also covered under the supplemental insurance. Other coverage that may be included in the policy or considered to be a rider include skilled nursing, Medicare Part A and Part B deductibles, foreign travel emergency, and at home recovery. Benefits and premium amounts differ depending on the policy you purchase. Certain plans are not available in all states. Insurance quotes for Central Reserve can be obtained by contacting [email protected] or by phoning (866) 459-4272 and pushing option 5. One way Central Reserve policyholders receive good customer service is the ability to use the email links provided on the website to contact necessary departments. For example, customer service inquiries can be made to [email protected]. Policyholders can also pay their premiums in various increments. Annually, monthly, semi-annually, single or multiple pay, and accelerated payment of premium are all payment options. Questions regarding claims for Central Reserve policyholders can be submitted by email to either [email protected] or [email protected]. Central Reserve Careers can be viewed on the website under the career section. The site provides listings of the current career opportunities in Austin, Texas and Cincinnati, Ohio. Detailed information regarding the job, including the position type, responsibilities, and when it was posted are all explained under the job posting. If you prefer to search for jobs using keywords, locations, categories, companies, or within a certain mile radius of your home, the site allows you to do look up opportunities using this type of search engine. The job opportunity section also gives perspective employees the ability to be notified of future job opportunities. Central Reserve believes in integrity and mandates each employee sign a “Social Contract” to ensure people treat each other in the workforce with empathy, respect, honesty, professionalism, and patience. Central Reserve has maintained an A rating by AM Best for the last 30 years.